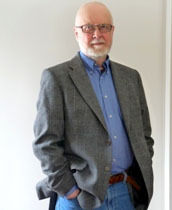 Dr. Martin Shain is the founder and principal of the Neighbour at Work Centre®. He is trained in both law and social science and helps private and public sector employers and unions understand and meet their new legal obligations to provide and maintain psychologically safe workplaces. The Centre’s current active client list includes: an energy company, hospitals, a regional government, a provincial government, a union, a mental health agency, a benefits and disability consultant, a manufacturer and a retail association. Martin holds a Doctorate in Law from the University of Toronto and a Diploma in Criminology from the University of Cambridge. His earlier education in law was completed at the University of Oxford. This academic background coupled with an ongoing career as a social scientist enables him to write and speak with authority on crucial relationships between law and science in the domain of workplace mental health. In pursuit of his longstanding mission to enhance the protection of workers’ mental health Martin has been the recipient of the prestigious Canadian Workplace Wellness Pioneer Award. For many years Martin was a senior scientist at the Centre for Addiction and Mental Health. The metric that he developed for Health Canada to assess high psychological risk areas as a key part of the Workplace Health System called the SSOS or Stress Satisfaction Offset Score (yielding the Business Health Culture Index or BHCI) has been used extensively across Canada and elsewhere. It is embedded in at least two commercial Health Risk Appraisals as well as in Guarding Minds at Work and has become a standard component of comprehensive workplace health promotion in Canada. As part of his mission to enhance the protection of mental health at work, he has long campaigned to make the new  National Standard on Psychological Health and Safety a reality - to help employers assess and abate risks to mental health in the workplace. Martin completed three reviews of Canadian and international workplace stress-related legislation, regulations and case law that serve as foundations for the new National Standard on Psychological Health and Safety in the Workplace. His discussion papers for the Mental Health Commission can be found on the MHCC website: The Shain Reports on Psychological Safety in the Workplace – A Summary Feb 2013 - The Road to Psychological Safety: Legal, Scientific and Social Foundations for a National Standard for Psychological Safety in the Workplace Feb 2011 - Tracking the Perfect Legal Storm: Converging Systems Create Mounting Pressure to Create the Psychologically Safe Workplace Feb 2010 - Stress at Work, Mental Injury and the Law in Canada: A Discussion Paper for the Mental Health Commission of Canada Feb 2009 . An additional report was commisioned by Great West Life - Weathering the Perfect Legal Storm (2014): A summary and The analysis and commentary. Currently Martin holds appointments in the departments of public health at the University of Toronto and Simon Fraser University where he is involved in research, development and teaching. Martin also serves on the Mental Health Commission of Canada Expert Panel for the Case Study on implementation of the new National Standard and is a member of the Technical Committee of the Canadian Standards Association that developed the Standard.